One year after the passing of Lawrence Auster, Diana West does a good job of echoing his sentiments that: "When it comes to immigration and national survival, race is the supreme issue, the issue on which all others hang", although West couches her argument more in cultural than racial terms. ... 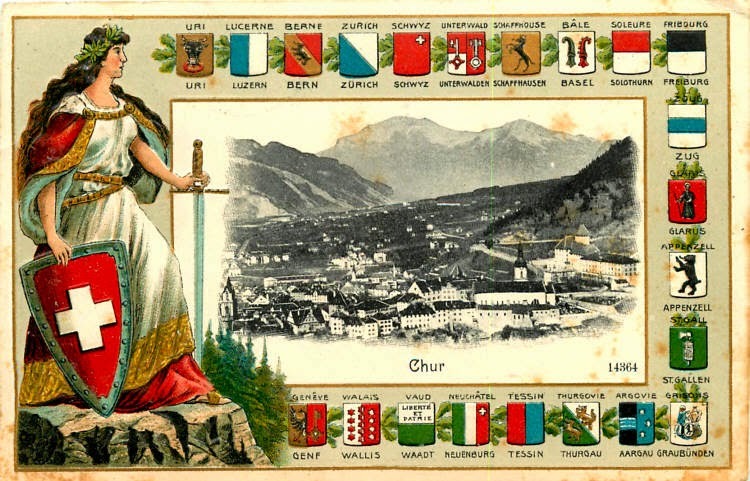 But was it really “fear of immigrants” – read: “racism” – that drove sufficient numbers of Swiss to the polls to check their own demographic extinction as a recognizable culture and nation-state? Or was it a nearly anachronistic instinct to survive as a recognizable culture and nation-state? I see it as the instinct to survive – and applaud the Swiss for deciding to limit the influx of Europeans, Slavs, Muslims, Africans and others, whose demographic waves are otherwise sure to transform indigenous Swiss culture into a global multiculture. I also envy them for mustering this basic vital sign, this narrow-edged popular will to control their own borders. It is something that has all but flat-lined in America, where capping immigration – let alone halting it to attempt some measure of assimilation and economic resuscitation – is not even a part of the political debate. Why isn’t it? In the U.S., the foreign-born population is now estimated to be around 13 percent, and it’s rising every year. This poses truly existential problems, particularly since the concept of “melting” into American culture was junked long ago – along with “American” culture. Meanwhile, that overall percentage, a little more than one in 10, masks the greater density and impact of foreign-born populations in the states and cities where immigrants and illegal aliens congregate. Take California, a state where waves of mainly Mexican arrivals (legal and illegal) have turned the population 38 percent Hispanic/Latino. In Los Angeles County, the figure jumps to 48 percent. The next largest ethnic group is non-Hispanic white: 27 percent – almost down to one in four. In 1960, not long before I was born in L.A., non-Hispanic whites were 82 percent of the county. What we are looking at is population replacement – and it has taken place well inside the span of one lifetime. What happened? If we consider the typical reaction to the recent Swiss vote – denigration of a nation’s survival instinct as a primitive expression of fear and racism – we will recognize the mechanism of our own demise: silence and retreat in the face of endless recrimination and grievance-mongering. What a way to lose a country. Is it “fear” and “scaremongering” to point this out? Is it “racism” to oppose the demographic obliteration of a nation clearly under way? ... This past week has seen yet another public hate campaign by this establishment to smear, demonize and thus neutralize the one Dutch party that opposes the nation’s suicide – the Party for Freedom led by Geert Wilders. I’ve written more on these events at my blog, www.dianawest.net. For now, it’s worth noting that the Dutch are lucky. With the steadfast and brilliant Wilders leading a popular movement, at least they have a chance to survive. File under: truly existential problems.